Rust is called the “cancer” of automobiles. Rust crawls into the smallest areas where paint has chipped off and moisture has reached out. Rust weakens the metal, interferes with the performance of the engine parts and brings down the overall value of your vehicle. Rust proofing your car is a worthy investment for the long run. 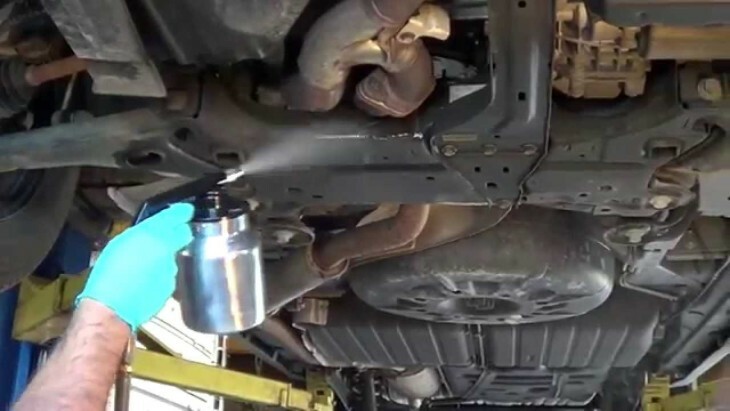 However, there are some common mistakes that happen while rustproofing cars and these mistakes can be avoided by having the right knowledge about the process. Here is a list of the top five mistakes to be avoided while rustproofing a car. Both interiors as well as exteriors of the car must be protected by using the right measures to keep rust away. Missing out even a small portion of the vehicle can make the car prone to rust. In most cases, the lower side of the car’s body is often ignored. However, the underside of the vehicle is most prone to dust and salt (during winters) from the roads and auto undercoating is the best way to protect this part of the car. When you choose to rustproof your old car, remember there is a high chance that the vehicle has already “contracted” rust and the smallest traces of rust must be cleaned before using a sealant or undercoating the car. Sealant and other rustproofing agents do not take care of the existing rust but give away false signals of protection. With time, the rustproofing industry has evolved and a whole range of rust proofing and rust prevention products have been introduced into the market. Car owners must take some time and effort to explore the different products and choose the one that best suits their vehicle. Choosing the wrong product for the car is worse than lack of protection from rust. While the rustproofing process must be done with much care, certain precautions must be taken even before the process begins. The car must be washed thoroughly and dried completely too. Some experts believe that certain products like oil-based sprays for car undercoating can be harmful to the rubber seals. Some car owners suggest wrapping windshield pipers before the rustproofing process. Such important requirements must be satisfied before getting started with the main process. Does a small bubble in the car paint push the need for undercoating? Can a minor scratch on the car door lead to a serious rust attack? The answer to these questions is YES and in fact ignoring these small issues is the most common rustproofing mistake committed by many car owners.